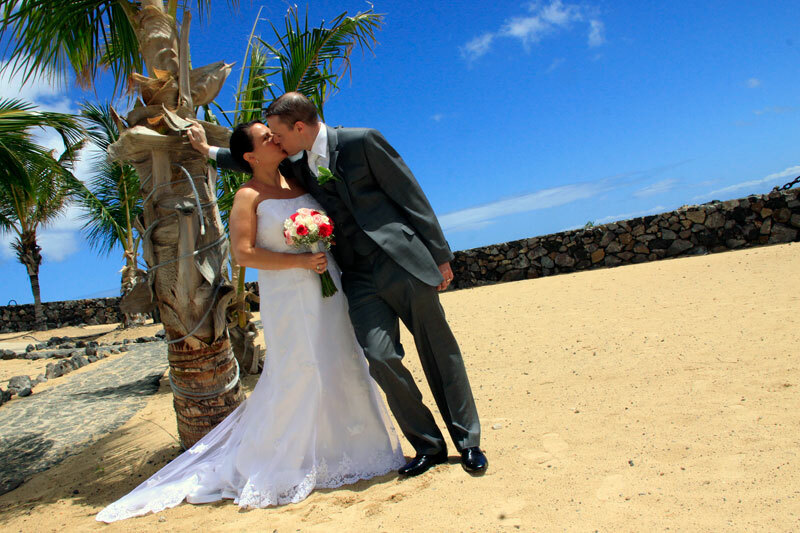 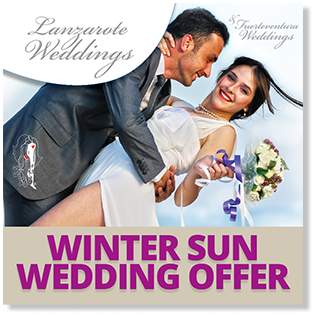 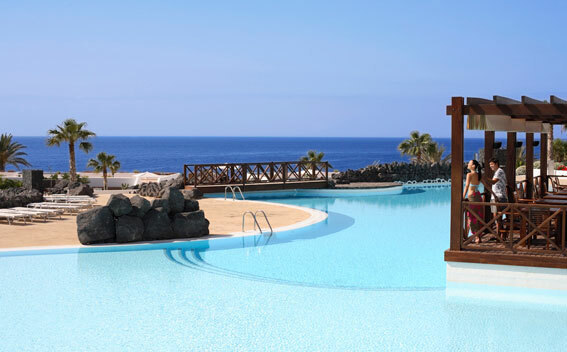 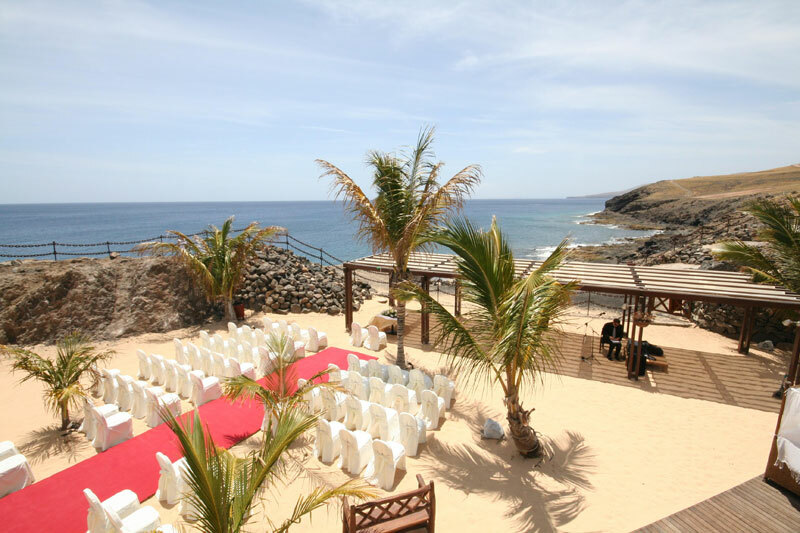 This fabulous Adults Only hotel has proved to be a favourite for Lanzarote Wedding’s couples seeking a ‘chilled out’ beach location. 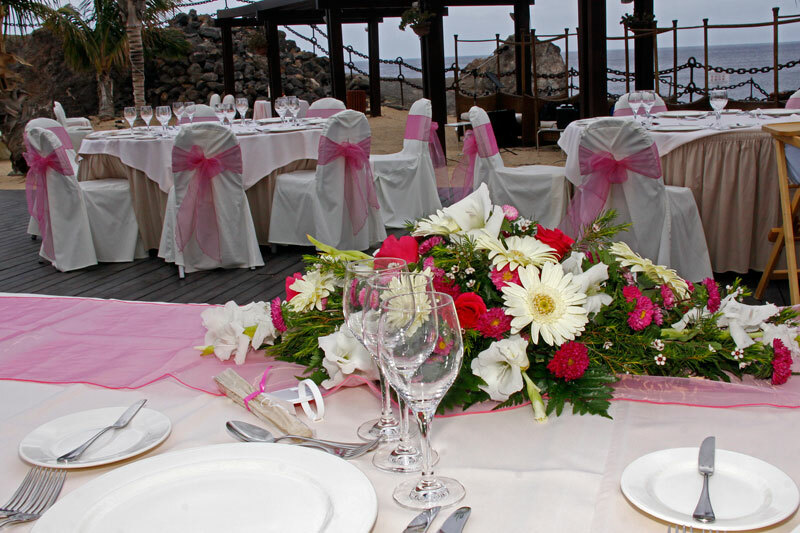 Set on the seafront overlooking the sea, this is a stunning venue. 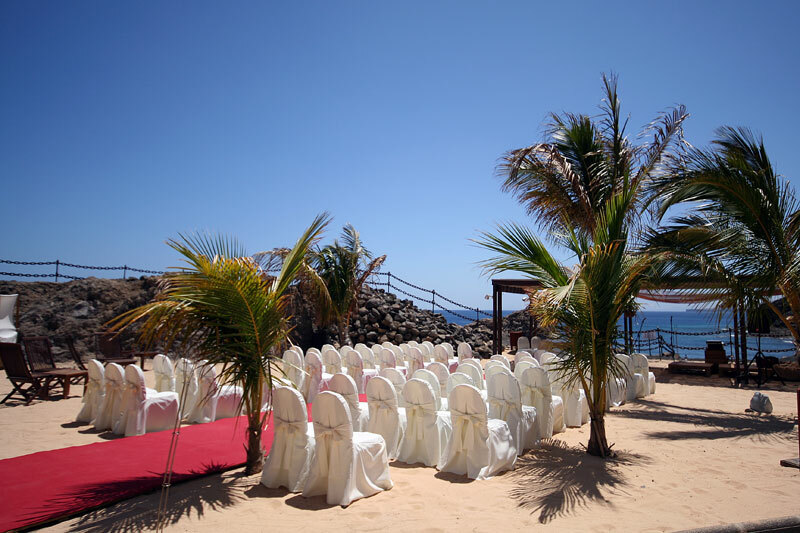 The private beach area is perfect for those who wish for a Blessing Ceremony with the ‘wow’ factor. 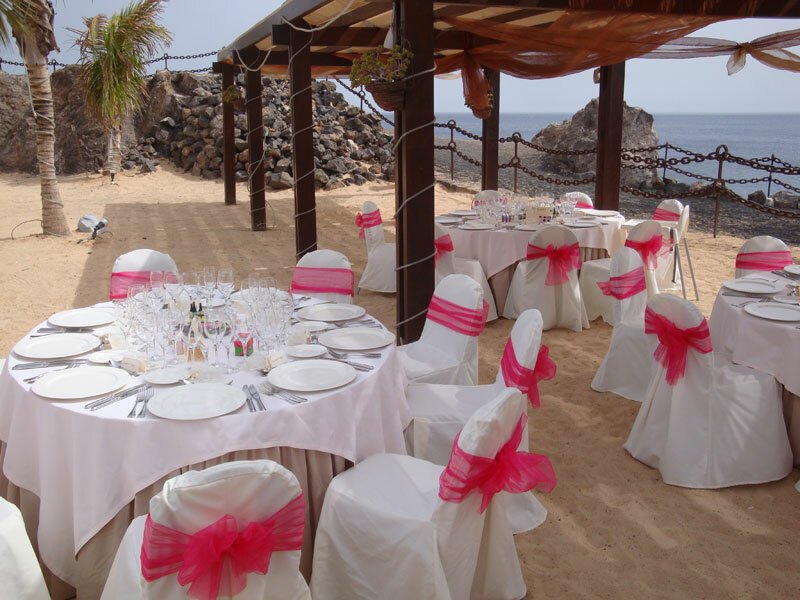 Why not choose to have the BBQ supper on the beach afterwards . 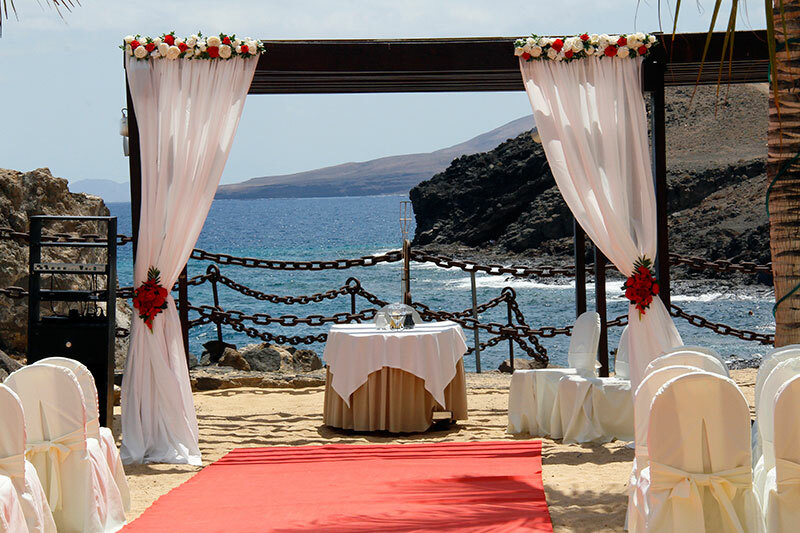 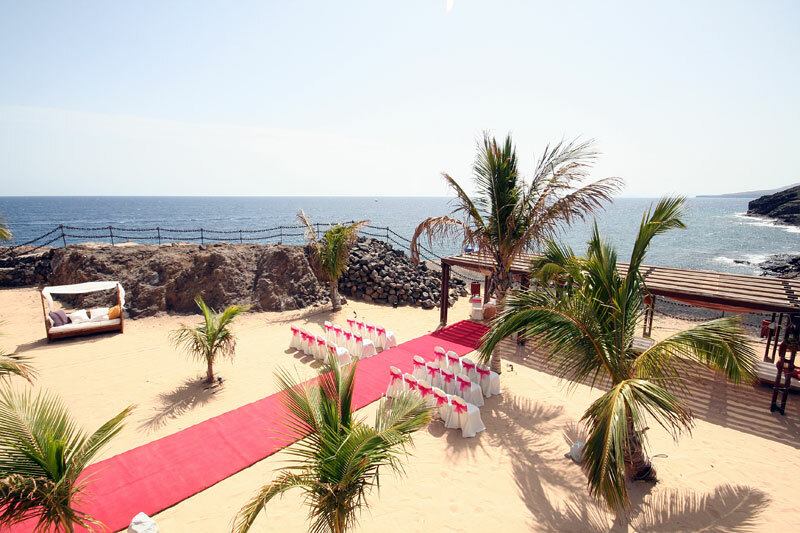 The red carpet is laid and the white linen covered chairs set out on the golden sand with the backdrop of lapping waves and the unsurmountable open sea view. 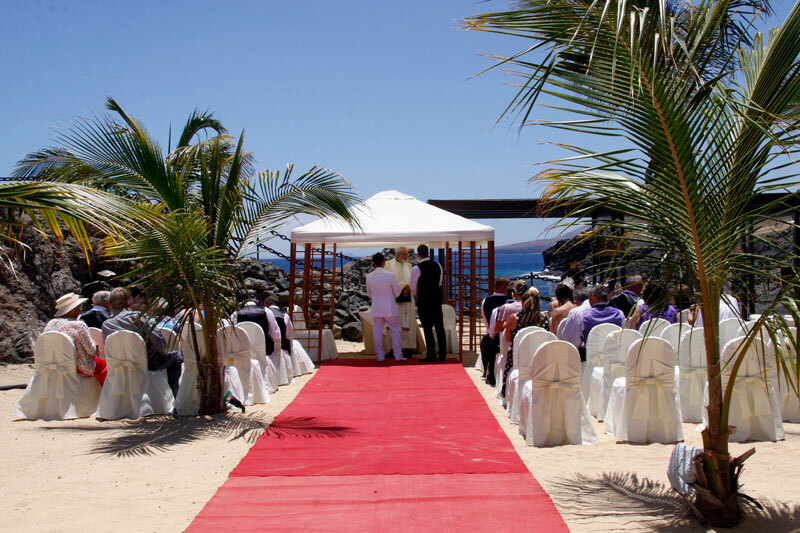 Following the ceremony, drinks are served on the private decked terrace adjoining the beach, shaded by parasols and backed by a waterfall feature. 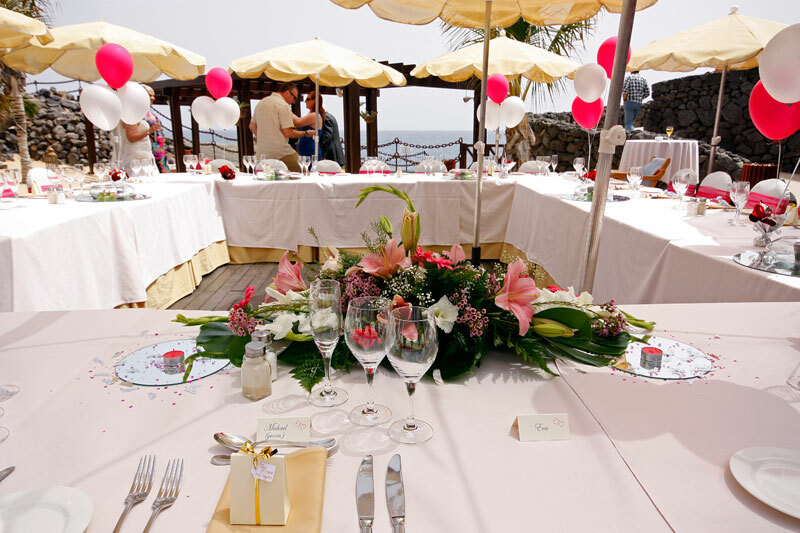 Dinner is served for smaller wedding parties at the La Caleta restaurant which is exclusive to the wedding party and has a Mediterranean atmosphere and opens onto the beach area. 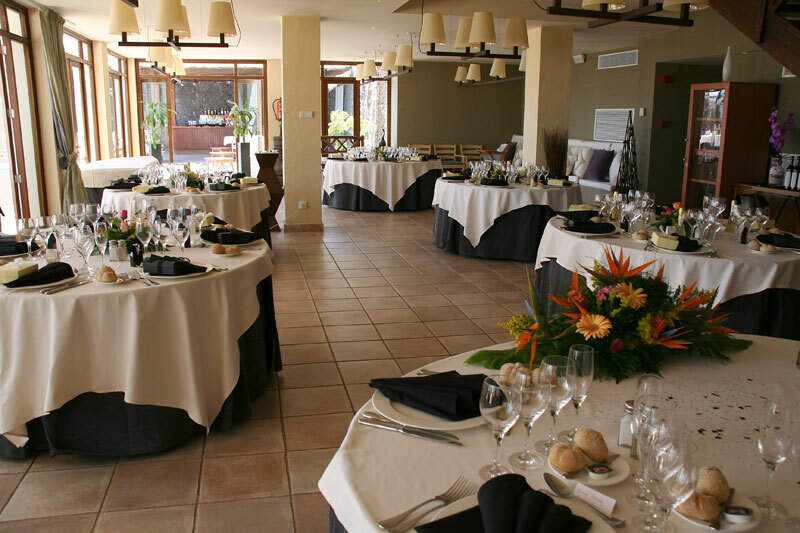 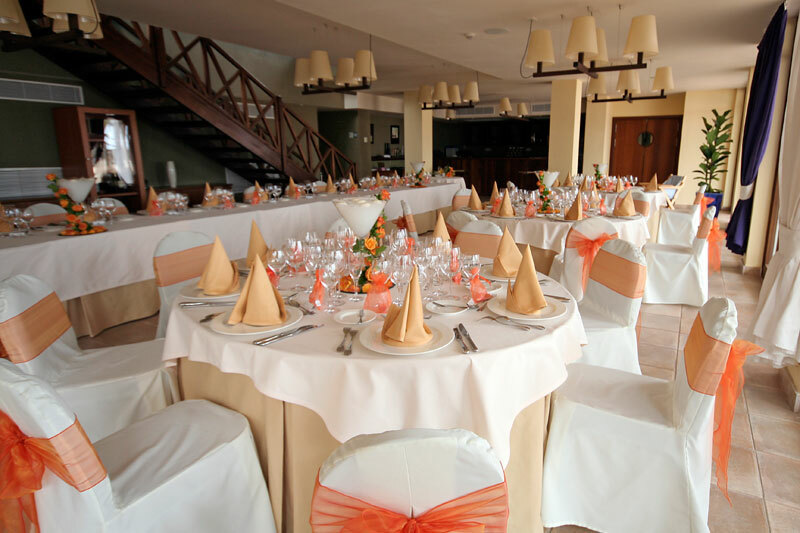 Large parties would dine in the elegant El Risco restaurant which can seat up to 150 guests. 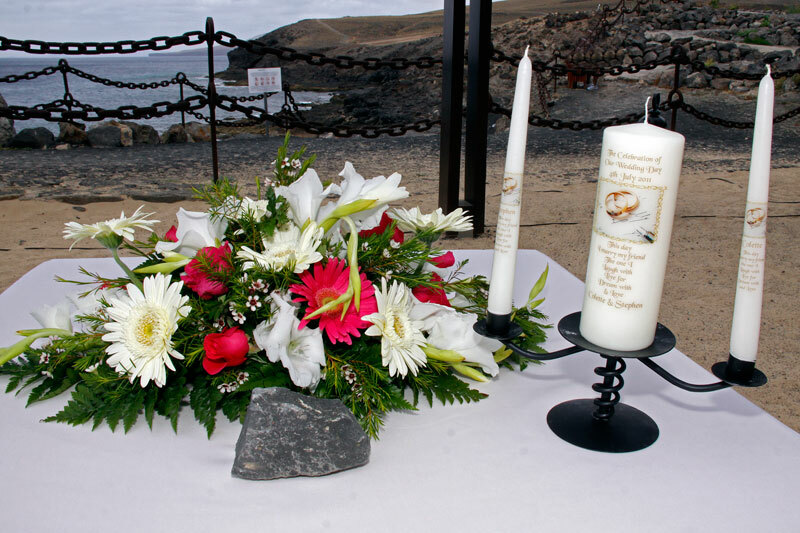 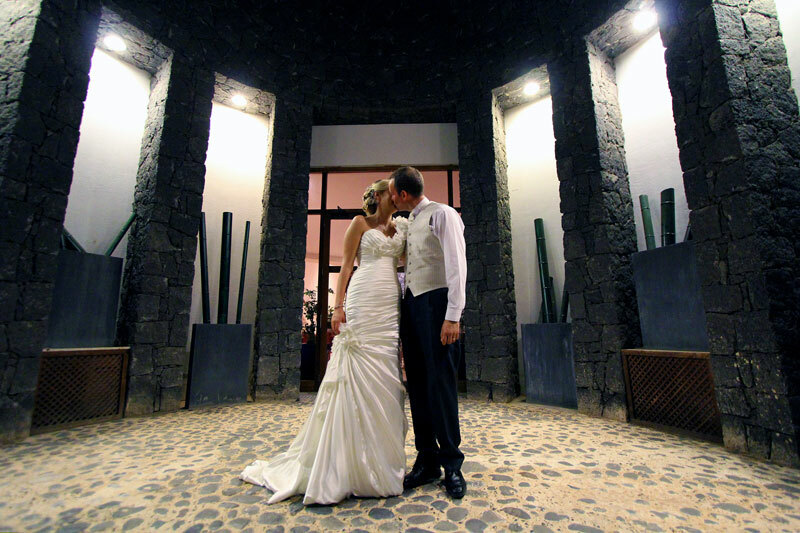 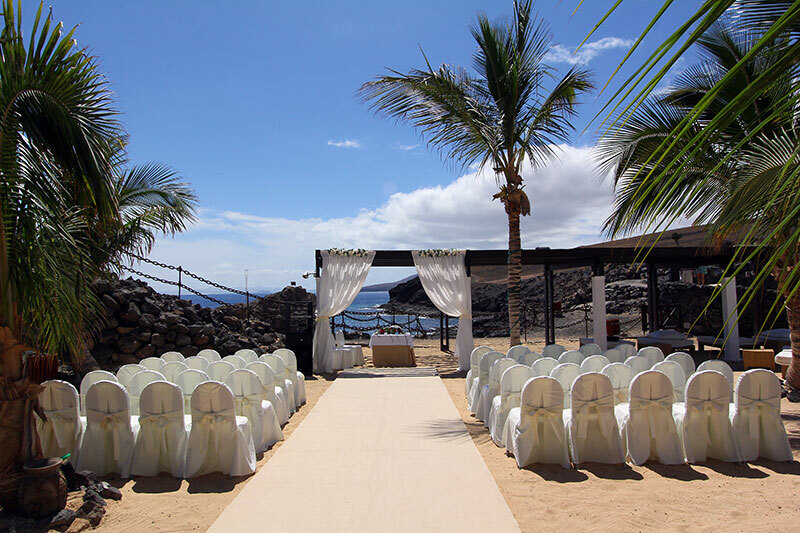 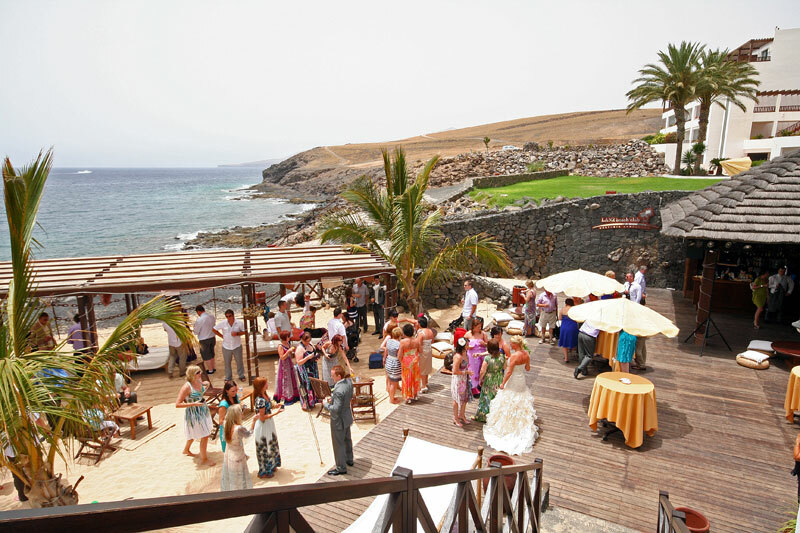 Lanzarote weddings have catered for celebrity guests at weddings here. 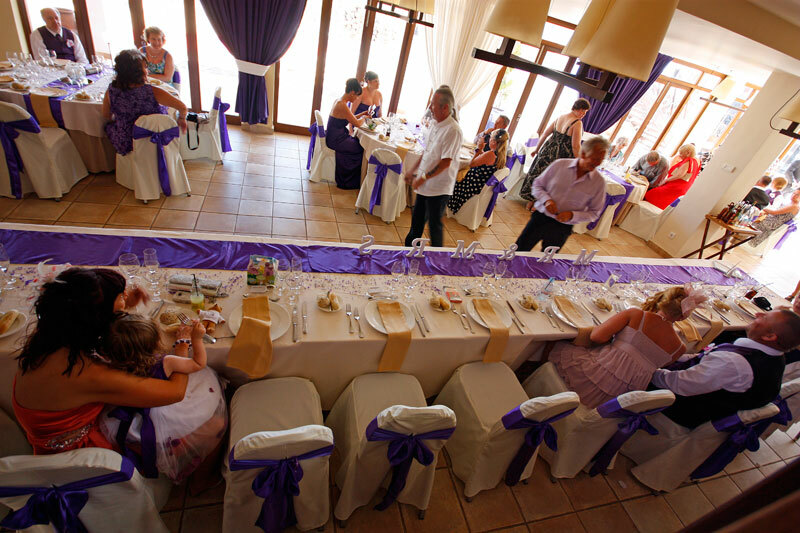 menu options available to suit all parties including the very popular buffet style wedding breakfasts. 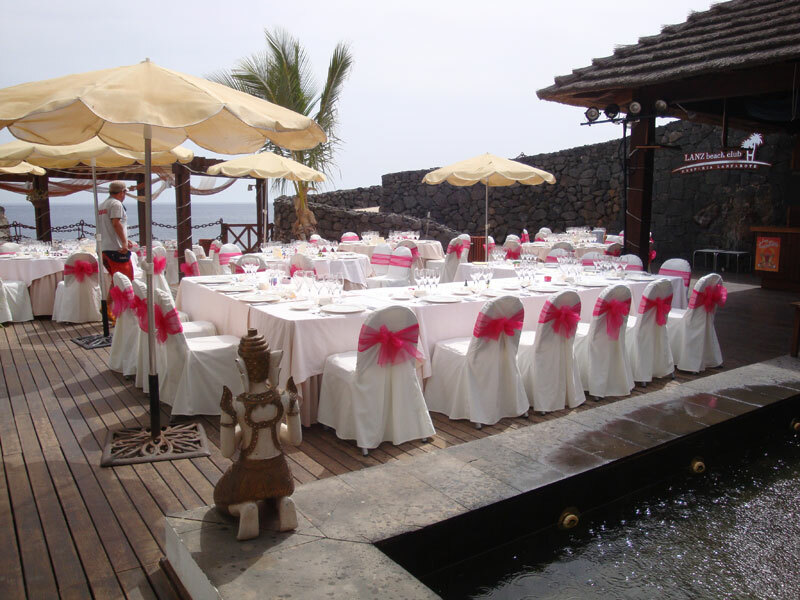 La Caleta Restaurant The restaurant opens onto a beach and decked area and has a Mediterranean atmosphere. 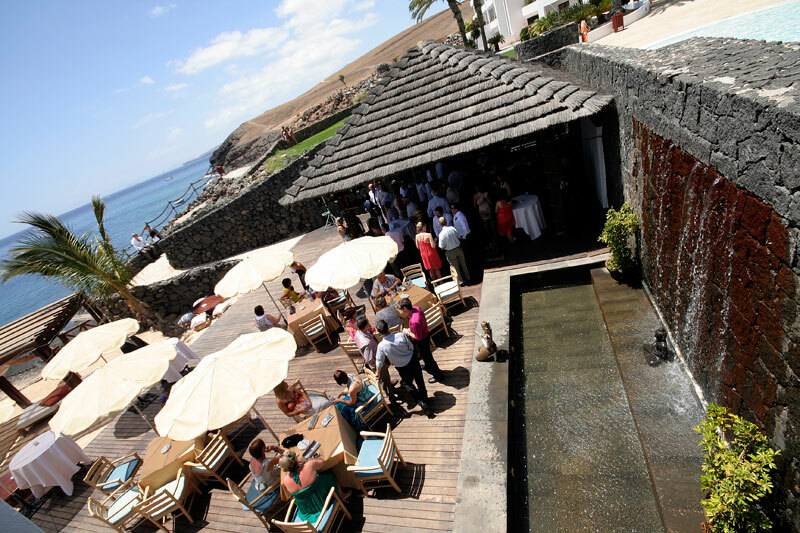 The La Caleta Chef can cater for up to 55 guests for a seated set menu but can prepare the ‘al fresco’ outside dining area for up to 80 guests for the more informal BBQ reception. 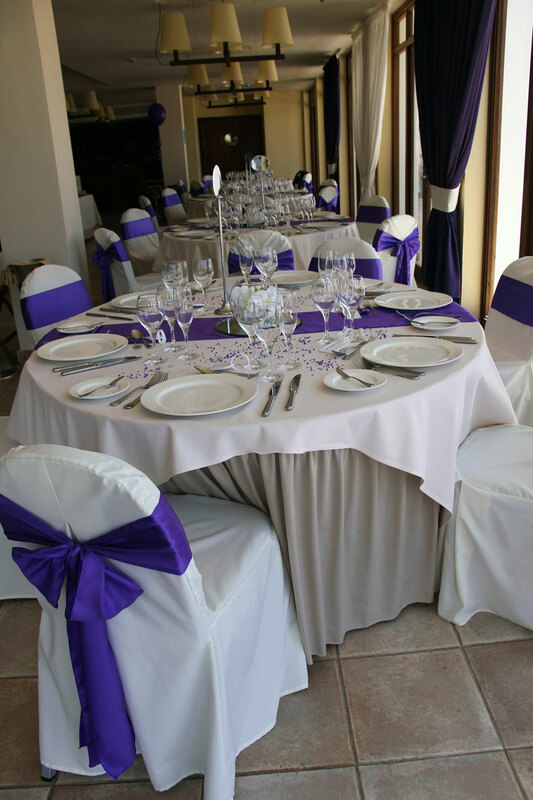 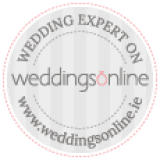 The Hesperia hotel offers 1 night complimentary stay in a suite for the bride and groom on the wedding night (conditions apply please ask for details).